by Clyde Hall. It was a time of stone-cold criminals, hot dance moves, cynical cinema, social upheaval, and the best rock bands. Watergate. Vietnam. Bobby Fischer. Barry White. The Brady Bunch. The Godfather. Can you dig it? In May, AfterShock Comics’ newest title takes you there. 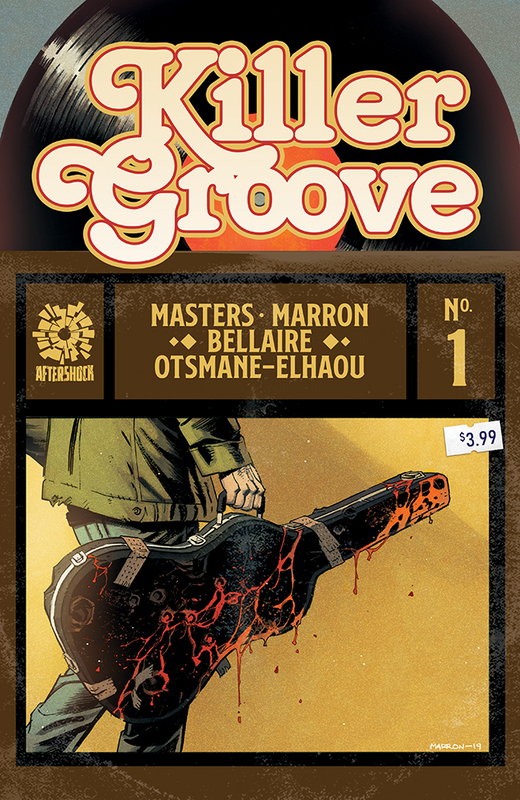 From writer Ollie Masters (The Kitchen, Snow Blind), artist Eoin Marron (Her Infernal Descent, Mars Attacks, James Bond), colorist Jordie Bellaire (Pretty Deadly, Nowhere Men, Batman), and letterer Hassan Otsmane-Elhaou (Shanghai Red, ‘Strip Panel Naked’ on YouTube) comes Killer Groove. The place is L.A. The time: the 1970s. A time when every waitress wants a record contract. Parking valets nod off because four auditions a day takes a toll. Scribblers eke minimum wage for screenwriting night courses. Lounge musicians and dive bar crooners dream of labeling up to mine platinum. Jonny’s working a beer joint gig, waiting for inspiration to make music that the whole world sings. Until then, he finds solace drinking up the profits with sotted P.I. and buddy Jackie. It takes getting involved with a contract killer for Jonny to find his muse, and a side job that pays better for squaring bar tabs. It’s a package deal. Only Jonny can decide which is his career, and which his true calling. 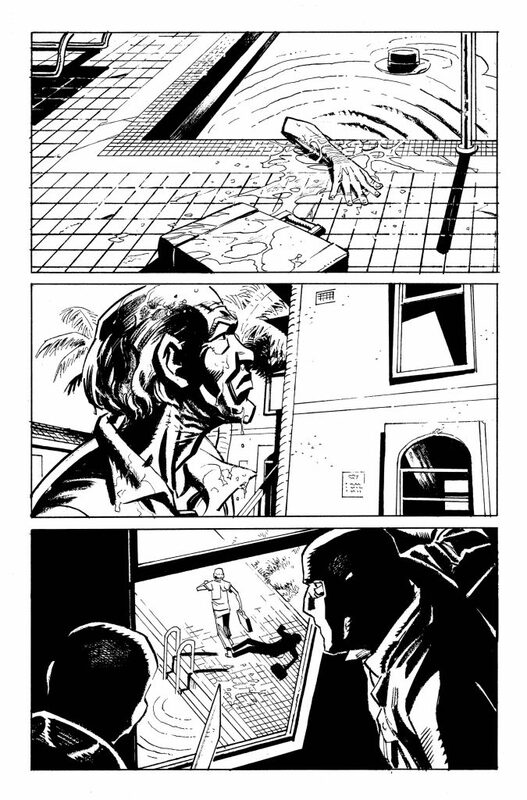 AfterShock’s done us a solid with this sneak peek below. 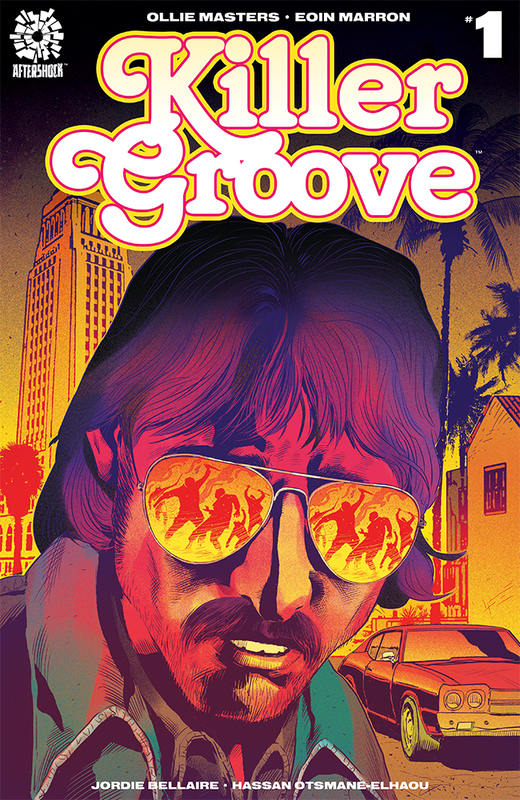 Get ready for a grittier La La Land when Killer Groove trucks into your LCS this May. 1:10 Incentive cover by Cliff Richards with Irma Kniivila. 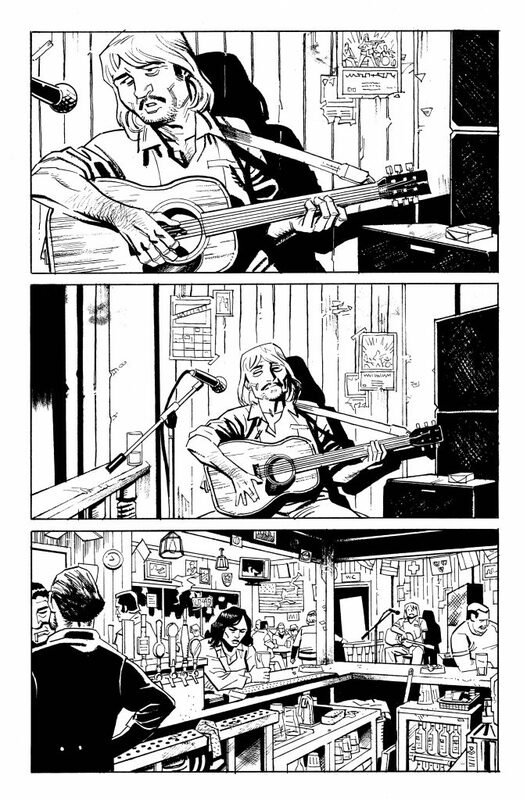 From AfterShock Comics: In 1970s Los Angeles, Jonny is one of the thousands of musicians trying to make it big while working a crummy bar job, and getting drunk with his whiskey soaked P.I. friend, Jackie. When Jonny gets tangled up with a local mob hitman, he not only finds a new and violent career, but maybe the inspiration for his music as well. 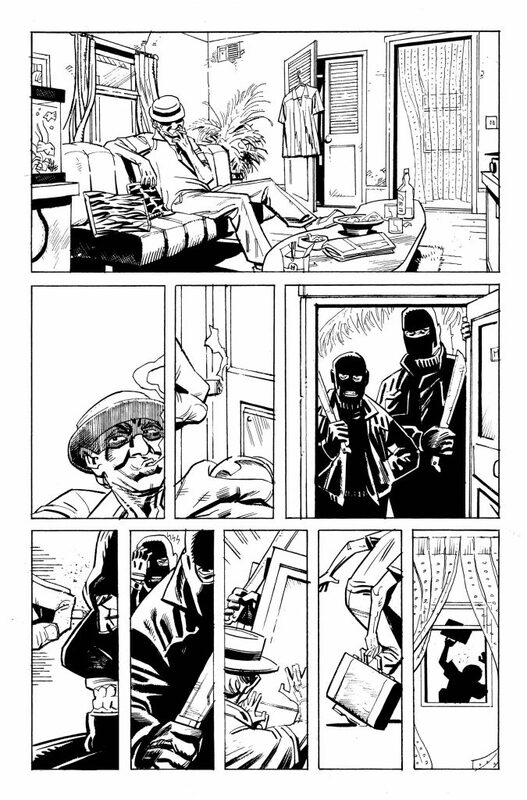 From Ollie Masters (The Kitchen, Snow Blind) and Eoin Marron (HER INFERNAL DESCENT, Army of Darkness, James Bond) comes the next rock’n’roll crime sensation, with a beat that’ll kill you dead.